Cognadev has provided assessment solutions to several organisations interested in succession management at executive and general management levels. Here, one such a case study is briefly described. The organisation in question is active in both the mining and production industries and has a global footprint. It employs more than 250 000 people across five continents. The organisation expressed a need for rigorous succession planning at executive levels and requested proposals from several international consulting firms, including Cognadev. Cognadev proposed the use of a job analysis technique as well as several assessment tools combined with structured interviews. 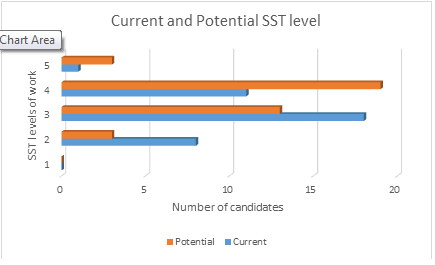 Job analysis was conducted by means of the Contextualised Competency Mapping (CCM) tool, aimed at determining the SST level of work and competency requirements of the various positions. 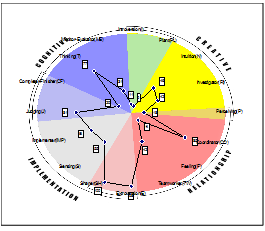 The assessment tools included the Cognitive Process Profile (CPP) for the measurement of cognitive constructs; the Value Orientations (VO) to indicate worldview and perceptual framework; the Motivational Profile (MP) evaluating motivational drivers and energy themes; and the MBTI and Belbin tools measuring personality and team role preferences. This was followed by a 2-hour structured interview, reporting and feedback to the Board. The CPP is a simulation exercise that externalises and tracks a person’s thinking processes at a micro level and interprets the results algorithmically to come up with a 30 page report on a person’s cognitive preferences and capabilities as well as the kind of work environment their profile is best suited to. The VO assesses a person’s valuing systems, their world view, perceptual framework and the way in which they prioritise issues and make decisions. It is used to deal with issues such as cultural orientation, organisational or team culture and culture fit. Personality assessment took place through the use of the MBTI and the Belbin team role instruments. Once assessment was completed, in-depth individualised feedback was provided and a comprehensive report was compiled for each candidate. The reports included a description of current and potential capabilities and developmental needs. This was followed up with group analyses, group feedback and team development. The assessment results were also discussed with the head of HR, the General Management Board and the Chairman and CEO of the organisation. Initial pilot studies were followed by the assessment of 150 executives in the organisation: Vice Presidents, Executive Vice Presidents and CEOs. Given the usefulness of the results a further 300 executives were identified to go through the same process, and after that another approximately 500 general managers using the CPP. CPP Assessments, especially of cognitive functioning, has over the past 6 years become a standardised practice in this organisation given an almost anonymous request from line managers across different regions globally, who regard it as a valuable in informing placement, promotion and developmental decisions. The assessment results of the initial 400 executives were most interesting. Although the majority of the executives were individuals with multiple degrees – primarily in science and business, significant individual and regional differences emerged in terms of cognitive preferences and value orientations. The results of all the various executive teams were summarised, graphically demonstrated and described in terms of the inherent strengths, weaknesses, opportunities and threats associated with the collective executive profiles. In terms of the preferred levels of work, the majority of the executives showed Tactical Strategy and Parallel Processing SST levels of cognitive orientation to work. In terms of cognitive styles, the majority showed Logical, Analytical and Reflective stylistic preferences. This Organisation showed a strong Red and Orange Value orientation as explained by the Spiral Dynamics model. This organisational cultures applied almost across cultures and regions although South American and German executives showed slight deviations in that they were respectively somewhat more socially inclined and quality conscious than their colleagues in other regions. In terms of motivation, a large number of executives showed intentional, intellectual and adaptive life scripts as measured by the MP. The most obvious outcome about this group of executives as a whole, was their high levels of energy, motivation, resilience and the tendency to take control. A majority showed people skills, diplomacy and tact, and the capability to influence and persuade others. Most of the executives showed high scores on the Belbin’s Coordinator and Shaper team roles, and only a few showed a more creative Plant and Resource Investigator role preferences. There was a fair spread of MBTI profiles but ESTJ, ISTJ, ENTJ profiles were most common. 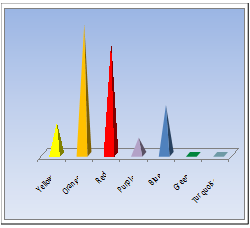 Below are some graphic representations of the assessment results of certain teams. Based on the results of the initial 400 executives, the General Management Board (GMB) of the organisation also requested Cognadev to identify the top 10% high potential candidates. Their goal was to compare the assessment results with their internal view based on annual 360 degree evaluations, of the most talented leaders in the organisation. To pinpoint the top 10% of this group of 400 executives, those who achieved the highest scores on the battery of assessment tools, were shortlisted and the results were provided to the GMB and CEO of the organisation to compare to their internal list of the most promising high-potential leadership candidates. The degree of overlap between those identified by Cognadev and those that were identified by the GMB was significant and resulted in the GMB allocating a weight of 30% to the CPP assessment results, as part of the criteria for executive placement. Other criteria included language proficiency, cultural and geographical factors, industry experience, business performance and performance appraisal results.